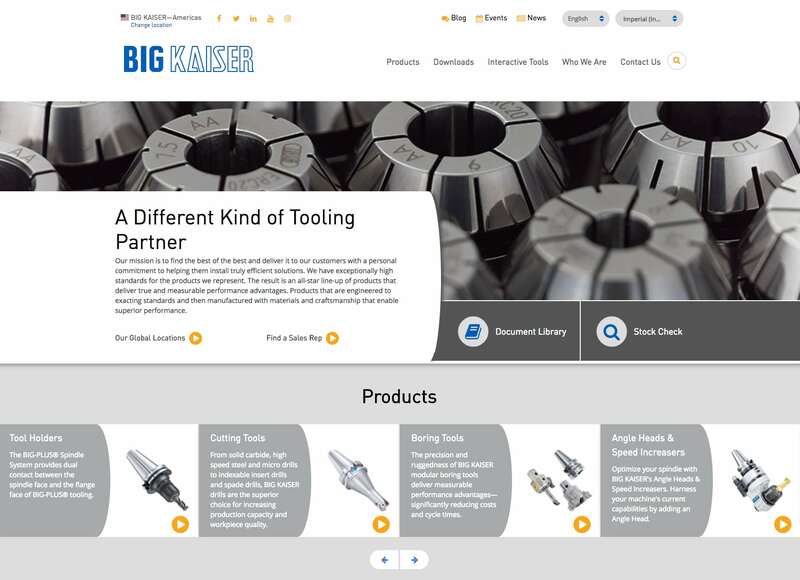 BIG KAISER, a global manufacturing company, is a well-regarded brand specializing in designing & manufacturing premium tooling system solutions.  Their focus is specifically on the automotive, military, aerospace, energy, and microtechnology industries.  This is a brand with a deep-rooted commitment to finding and delivering only high-quality, effective solutions to their customers. For global brands, managing multiple multilingual websites is an enormous responsibility. It can lead to significant issues. 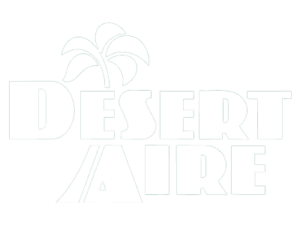 They may struggle to communicate across international departments or administer content timely and evenly. Often countries will have a particular workflow or execute tasks in a specific way compared to other countries. If these scenarios occur, it can hinder global brands from providing a seamless and intuitive customer experience. BIG KAISER’s global teams started to find it increasingly challenging to communicate and distribute content efficiently. With that, they wanted to design & develop a brand-new site with one vision – to simplify. With this vision, it would streamline communication and sharpen their content workflow allowing for more clear & concise customer experience. To start by housing their product line and content under a single multilingual website, it would remove the barrier of miscommunication. Secondly, have an improved organizational system for all their products. Thirdly, create high-quality, interactive content that informed and educated customers. Finally, develop a site that was available on desktop, mobile, and tablet platforms.  As a highly reputable brand, our challenge was to simplify their existing multi-website structure by consolidating all data and content under one system. Our goal was to create a revamped design that would streamline communication internally and a straightforward UX customer experience that aligned with their brand. This large-scale project required several months of planning and strategy to fully grasp the scope of design and development required. 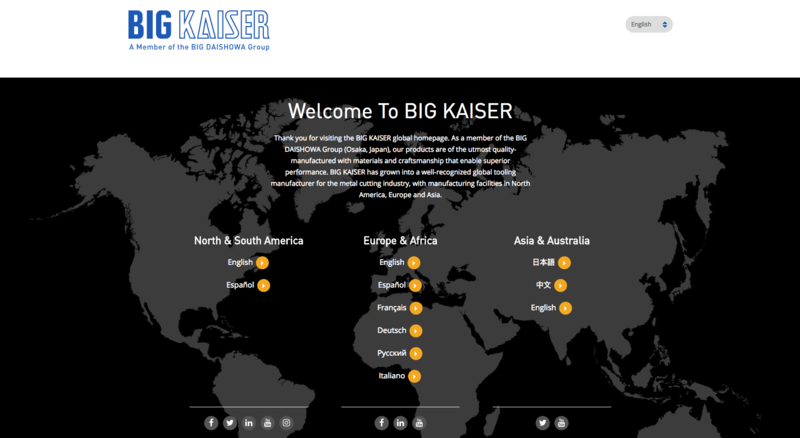 We collaborated closely with BIG KAISER’s internal global teams to develop a rejuvenated site with aesthetically pleasing visuals that would enhance the customer experience. Together we strategized on how to design a website that would simplify their global product catalogs, incorporate multilingual interpretations for product lines, provide search options for metric/imperial systems, deliver meaningful content that provides insight, and mobile responsive-ready.  To start, we merged their multi-websites carefully under one content management system. This allowed for streamlined communication and easier management & distribution of all content globally. After blending the sites, we were then able to redesign their product line by creating a more defined and organized catalog of their products. Giving the product lines specific categories and filters with the option to view product dimensions in either metric or imperial. With the product catalogs simplified, we began to rethink the customer experience and the necessary interactive content that’s needed while researching. Adding high-res images, features & benefits, educational videos, and downloadable product documents give a variety of ways for customers to immerse themselves in product knowledge. To meet the needs of interpreting all content for each country, we partnered with a third party that provides automatic translations of content to ensure a positive experience. Finally developing a mobile responsive site giving easy access to customers anywhere on the desktop and mobile platforms. The result is a robust, global single multilingual website. Together, we maintained a strong brand presence while improving the customer experience. 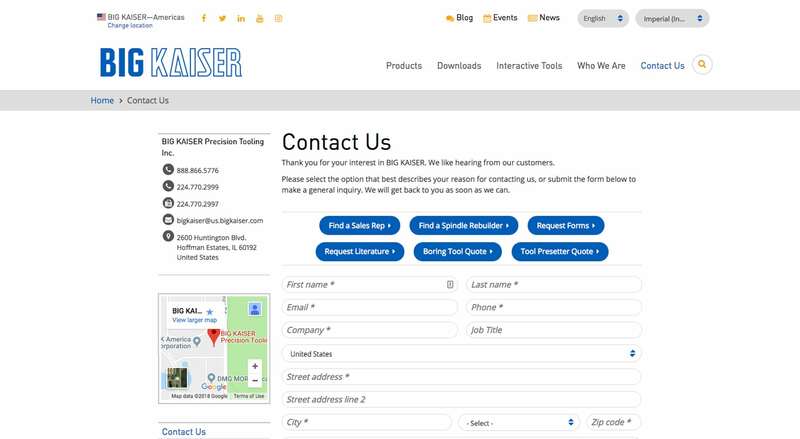 Our design enables BIG KAISER to take customers on a journey with enhanced search, stronger product presentation, a plethora of informative content, elevated photography standards, and more engaging brand experience. 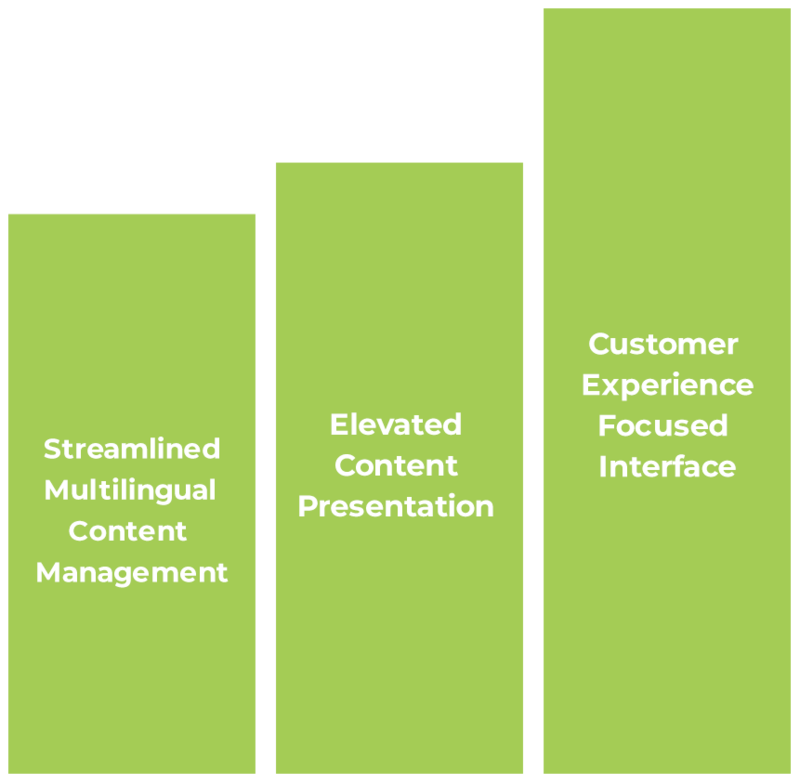 Also, giving more control to the customer, translated content into multiple languages, and access on desktop and mobile platforms truly simplify the customer experience. The updated website also bridged the gap between internal communication and content management. Now operating under a single content management system, it decreased the likeness of miscommunication. And developed a stronger workflow when distributing product content globally or region specific. Each task in the project was carefully planned, meticulously crafted, and thoroughly executed. 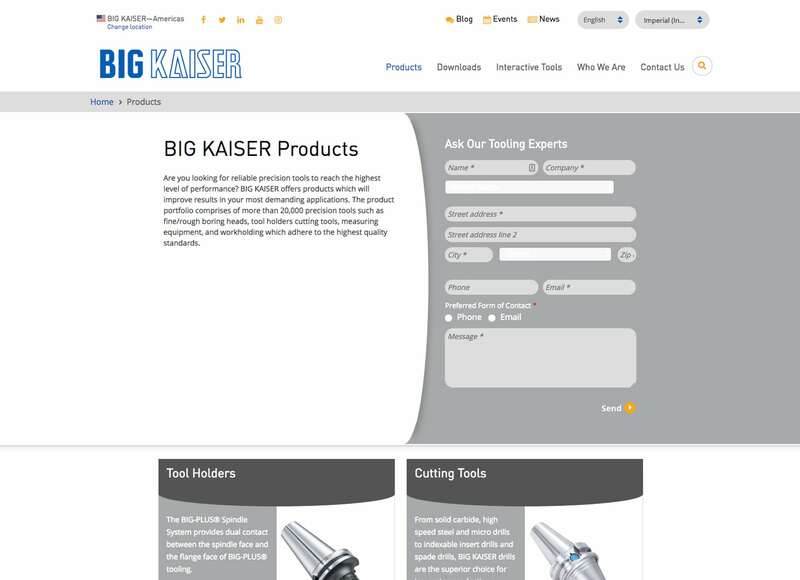 With consistent collaboration with BIG KAISER’s team, it helped guide us through our design and development process. The project was challenging but highly rewarding. 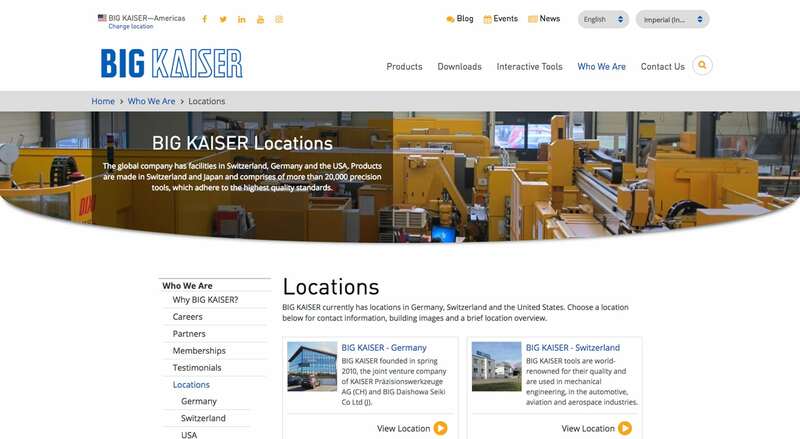 We helped build BIG KAISER’s vision – a simplified website.